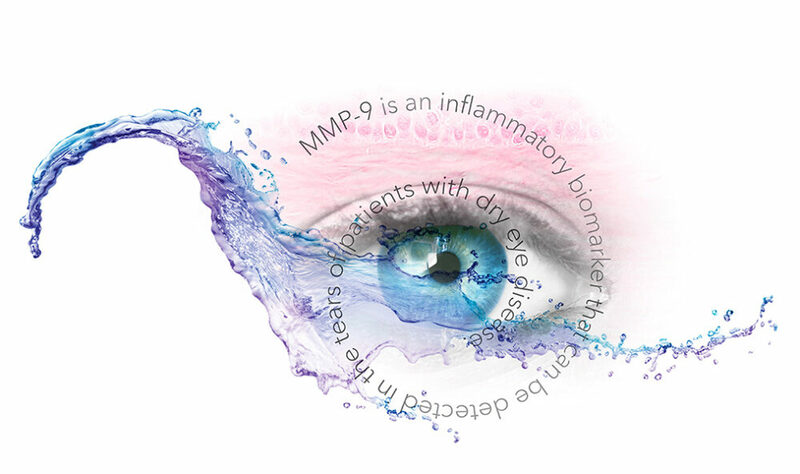 InflammaDry is the first and only rapid, in-office CLIA-waived test that detects elevated levels of MMP-9, an inflammatory marker that is consistently elevated in the tears of patients with dry-eye disease. Other dry-eye tests only measure tear production and stability. InflammaDry accurately identifies patients with dry eye in 4 simple steps allowing for optimal treatment methods and better quality of life. According to the 2017 TFOS DEWS II Report, dry eye is a multifactorial disease of the ocular surface characterized by a loss of homeostasis of the tear film, and accompanied by ocular symptoms, in which tear film instability and hyper-osmolarity, ocular surface inflammation and damage, and neurosensory abnormalities play etiological roles. Dry eye disease is a condition in which a person either does not produce enough tears or has tears of poor quality that evaporate too quickly. Tears bathe the surface of the eye, are necessary for maintaining the health of the front surface of the eye, and for providing clear vision. When the surface of the eye is exposed to environmental stress or is damaged, it may activate an inflammatory response that can result in the common symptoms of dry eye disease. Over time, dry eye disease may progress into a chronic condition, and can potentially damage the surface of the eye, increase the risk of eye infection, and impair vision. Dry eye disease is an extremely common condition that affects nearly 30 million adults in the United States.